It has been an important influence since I was a child. 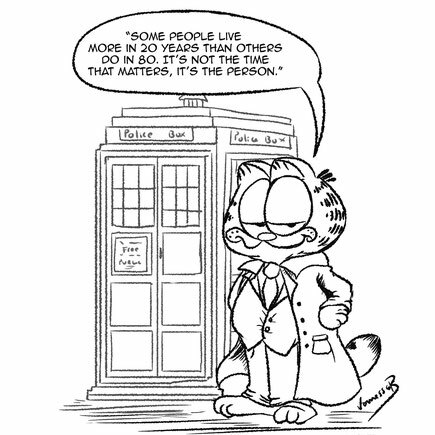 Here's my mash up Garfield and Doctor Who to spice things a little. I recorded the pencil sketch and digital ink that I will upload to my YouTube later.